Moving to Chiswick can be fun and adventurous if you plan your moves well. There are multiple reasons for moving, maybe you are relocating to a bigger house or closer to your workplace. There are many direct and hidden costs associated with relocations. One of the major costs is moving the house to the W4 area. There are many ways to reduce these costs and the following tips will help you in achieving that. There cannot be a more inexpensive way to move things than doing it yourself. 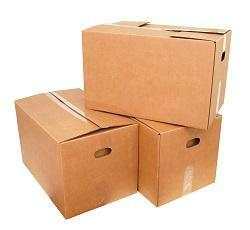 Get some cardboards and packing materials for moving the goods. Start packing as soon as possible because often people tend to underestimate the number of things they own. Get the packaging done over the weekends or after work during the week. It can remind you of some forgotten memories and give you a much-needed smile. Now, if the things to move are more than you can carry in your own vehicle, then you can ask seek help from friends. They can help you out with packing and house moving. But it will require a lot of patience and hard work. It can be frustrating especially if you are going to move expensive stuff and large pieces of furniture. Sticking to a timetable can also be a big problem. The first two tips are advisable only if you are going to move a small amount of things and inexpensive stuff. If you don’t wish to move the goods yourself, then the next option is hiring a man and van. Do a bit of research on the man with van before you hire them. Don’t forget to ask if they will do the loading and unloading tasks as well. If you are convinced book their service in advance so that you know for sure they will be available on the day you are planning to move to Chiswick, W4. Hiring a removal company in Chiswick is advisable when you have expensive or large items to be moved and when you have no other option. It can be expensive but costs can be reduced if you do some tasks yourself. For instance, you can consider doing the packing and unpacking yourself. Ask for quotes from different companies and compare them. Find out their rates and their way of charging. If they are charging by the hour, make sure you pack all the items before they arrive. Research and read their reviews on the Internet. Do not hesitate to ask for a discount; times have changed and some companies have some awesome offers. The main advantage of hiring these firms is that they bring their own tools and gear. They can do it efficiently without breaking or damaging your goods. You can also insure your valuable items before transporting them to the new house in W4. Ask for a package from the company for both transportation and storage if you require both. If you have not used anything for 5 years then probably you should sell it or dump it. There are many things in your wardrobe and living room, which you have always wanted to sell but found no time. This is the best time for selling them, disposing of them or giving them away to charity. Not only will your new house be clutter free, but you will also be saving on the cost for transporting these goods to your new home.